Daniel Low is a medical student at the University of Washington, and a current Fogarty Scholar working at the Uganda Cancer Institute on access to care and complications of HIV and cancer co-morbidity. He has worked on projects in Malawi, Honduras, Tanzania, and Kenya. With my current project stuck in administrative delays, I have developed two other side projects focused on enhancing palliative and hospice care at the Uganda Cancer Institute. The more I have borne witness to in-hospital deaths, the more I have wondered if these were “good” deaths, and if not, what would a “good” death look like in a Ugandan context? 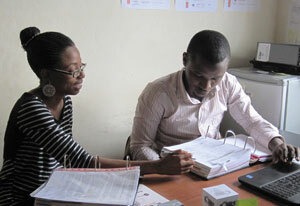 Interestingly, Uganda has one of the most advanced palliative and hospice care programs in all of sub-Saharan Africa. Over 90 districts in the country have hospice offices offering in-home services, including oral morphine, something often severely lacking in end-of-life care in other parts of Africa. Furthermore, palliative care organizations have trained thousands of local healthcare providers, while palliative care practices are now taught in all medical schools in Uganda. 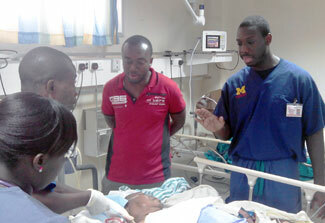 Nonetheless, there are usually at least 4-5 in-hospital deaths each week at the Uganda Cancer Institute (UCI). So the question remains, are these “good” deaths? Recent research in urban Uganda suggests probably not. Most people here, like in the States, would prefer to die at home. Pain management remains a problem, as do many other quality of life measures at the end of life. Most of our patients present with late stage cancers, where a fix is often untenable; death is inevitable. In such a scenario, we are left in uncharted waters. We have been trained to prevent death, not to engage with it. It is a tricky crossroads, a place that many doctors, both here and in the States, don’t know how to comfortably navigate. It is also a place where spirituality tends to play a larger and larger role. For some, this means thinking of the world to come, about reuniting with family in days of old. It’s about being closer to God. In the meantime, it may mean making amends and repenting. For others, this is just one step in a long line of reincarnation. This is only part of the cycle. Still others fear retribution, while some don’t think of anything beyond what is right in front of them, trying to instead focus on the moments that remain. Regardless of the spiritual convocation, the end of life is a time of great meaning, fear and hope for many. In these moments I am reminded of Rabbi Abraham Joshua Heschel’s words, “just to be is a blessing. Just to live is holy.” Sometimes it takes confronting death to learn how much of a blessing it is to simply live. We learn to appreciate just how holy life is. I think that’s how Shayna felt at the end of her all too brief life. When she sensed that the end was coming, she asked for all of the healthcare providers who had taken care of her to come near. She expressed her gratitude for everything that had been done for her. She talked about medications, friendly smiles from nurses, procedures to remove fluid from her pleural space so she could breathe better, words of encouragement from doctors, and general support. Then, as her breathing became labored and she knew this was it, she asked her family to sing her favorite hymn to her. Lost amidst the melodic song of her family, she peacefully died. Shayna’s death was tough for me, as she was one of the few pediatric patients who spoke impeccable English and therefore was someone whom I had the pleasure of getting to know. She also happened to be the first pediatric patient I saw this trip. But hers was a “good” death. Life is amazing. I see that awe when I walk to work, in the beauty of the acacia trees that line the road on the way to the hospital. I am amazed by the organized chaos of people walking to work, perhaps in a hurry but nonetheless always in a time and space to greet one another and offer a comforting smile. I feel that awe strolling the wards, seeing the human innovation of infusion treatments and radiotherapy. But most of all, I see that amazement in my patients, my colleagues and my friends. I feel that awe when Dr. Racheal stays at clinic until 8pm to take care of her patients, even though she is tired, hasn’t had a chance to eat lunch and has her own life to return to in the evening. I feel that holiness when I play peek-a-boo with Josiah, as he gaily waits in his undersized hospital bed for another round of chemotherapy. That holiness is all around us; it merely is how we choose to view the world. 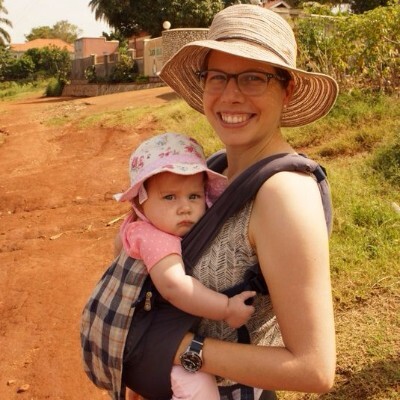 Jennifer Ross, MD, MPH, is a current NPGH Fogarty Fellow living in Uganda. Her research project is on the use of co-trimoxazole prophylaxis for malaria in HIV patients in Uganda and Kenya. She earned her advanced degrees at the Oregon Health and Science University, and has worked for the CDC. My daughters will be too young to remember our Fogarty year in Uganda – they will be 18 months and three years when we move back to Seattle – but being here as a family completely shapes our experience. Since half of the Ugandan population is under the age of 15, there are children everywhere. We attract a lot of attention on the street as a ‘muzungu’ family, and our kids create a natural connection with nearly everyone we meet. The friendliness of strangers toward our children makes us feel welcome, even if it’s not exactly how the interaction would work at home. Asking after the children is often part of a greeting in Uganda, and people refer to others by the name of their eldest child, so I am “Mama Sonia” to our nanny and our neighbors. In many ways, this feels like the ideal setting to be pursuing research while also raising young children. High-quality child care is affordable for us and abundant here, and we live close enough to my workplace for me to walk home at lunchtime to nurse my baby. Our life here seems to allow for more breathing room; every once in a while on a Sunday afternoon, after we have played outside and before the time difference allows us to FaceTime with the grandparents, we actually feel a little bored. We haven’t felt bored in years! The other key to our life here is my spouse’s efforts. We consider this a paternity year for him, adopting the example of other countries that support fathers as well as mothers to take time with their little ones. He left a good job in Seattle to take on the task of coordinating our home life here, where, in addition to the children, there’s often something that needs repairing, or a utility bill that must be paid in person. All of these factors grant me precious blocks of uninterrupted time to write and think about my projects. It is not perfect – I still pull out my laptop to work many evenings after the girls are asleep, I don’t travel to as many field sites as I’d like, and my worrying about how we would manage a car accident or serious illness still keeps me awake some nights – but for now, our arrangement here is working well. Since coordinating a clinical or research career with a busy family life doesn’t seem particularly easy anywhere, I consider this a success. And even if my daughters don’t distinctly remember our time here, living here will certainly impact them. Just this week my daughter came home from pre-school singing Christmas carols with a Ugandan accent. 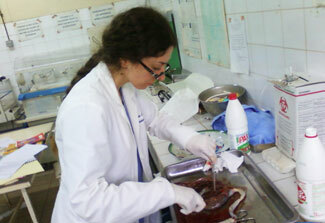 Alumna Anna Babkhanyan speaks about her research on the vertical transmission of malarial antigens, how her Fogarty Fellowship impacted her, and her on-going research in Cameroon in an article published Global Health Matters. Rockefeller opens up about how his NPGH Fogarty Fellowship from 2013-2014 introduced him to clinical research, and helped him implement an electronic medical records system and improve emergency care at the Komfo Anokye Teaching Hospital in Ghana. Read the full interview on the Fogarty International Center’s website. The Fogarty International Center at the NIH which funds the Global Health Fellows published an interview with Juliana, a trainee in Uganda. Learn more about her research on sickle cell anemia.